For the residents of the province, the incident has made them question whether or not their elected representatives would really be available when they need services from them. SURKHET, Jan 22: On the day of the oath-taking ceremony, Provincial Assembly members of Province 6 were still in the capital instead of being in their own province from where they got elected to serve the people. They reached Surkhet on Sunday morning for their swearing-in ceremony in a state-sponsored trip by chartering a helicopter of Nepal Army. 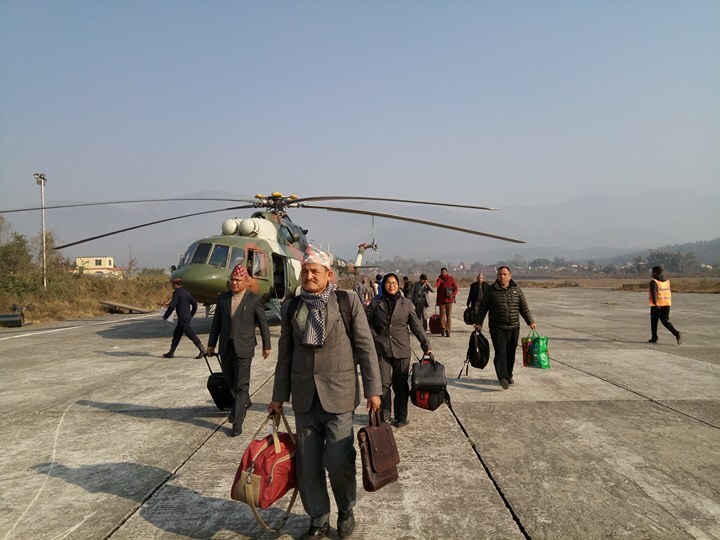 Out of the 40 Provincial Assembly members in Province-6, 27 needed to be airlifted by the NA helicopter from Kathmandu for their own oath-taking ceremony. Provincial Assembly members Prakash Jwala and Mahendra Bahadur Shahi, who have been widely considered as the probable chief minister, were also airlifted. At a time when the residents are having big hopes from their elected representatives, absence of such a large number of Provincial Assembly members from one of the most impoverished provinces is not seen as a good sign to come, locals say. For the residents of the province, it raises a big question on the commitment of the elected representatives to work for them if they frequently abandon their office for unofficial purposes. It raises doubt on whether or not their elected representatives would really be available when they need services from them. The Provincial Assembly members arrived in Surkhet airport with heavy luggage, bags and shopping items. One parliamentarian was spotted with a brand new television set that she purchased back in the capital. Many of them were grinning as they alighted the helicopter. According to sources, the parliamentarians were not able to board a plane a day before as flights to Surkhet via Nepalgunj were affected due to bad weather. 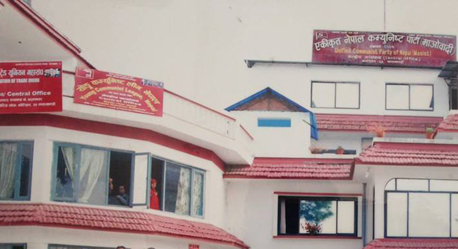 They stated that the unavailability of direct flights from Kathmandu to Surkhet was another reason for chartering the helicopter. 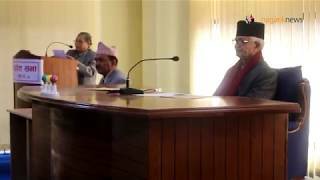 Governor Durga Keshar Khanal administered the oath of office and secrecy to the Provincial Assembly members in the afternoon.